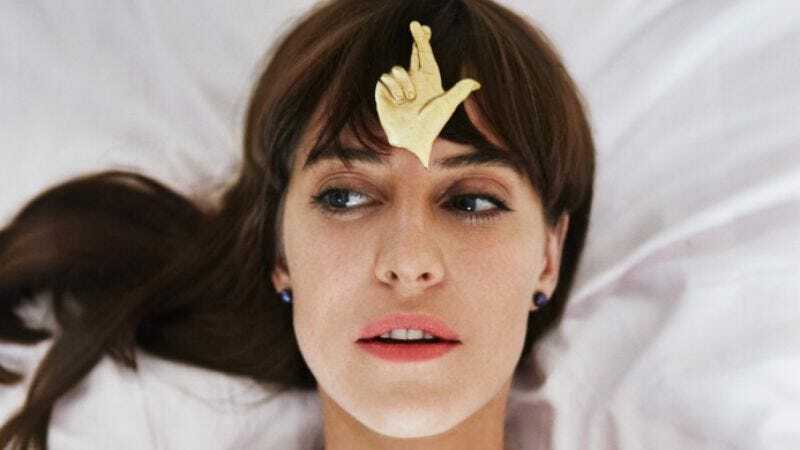 Four years wasn’t so long to wait for Feist’s 2011 album, Metals, considering how full of surprises her previous effort, The Reminder, was, and how fresh “1234” stayed despite its ubiquity. Metals didn’t arrive with the same bang, but it did harsh up Feist’s sound a bit and provide just as rewarding of an album to dig into. Before her June 2 show at the Minnesota Zoo, we spoke with the Canadian singer-songwriter while she chopped endive for her salad. She told us about being on Sesame Street, pop music, recording live, and covering Mastodon. The A.V. Club: Is it a relief touring behind an album without a surprisingly huge single attached to it? Feist: Yeah. You know, it’s more holistic. It’s just more balanced. It feels good. AVC: It seems like with Metals, all the songs get equal attention. F: Yeah, it’s nice. It’s one of those situations where different people seem to have different favorites. It feels more balanced. AVC: You took advantage of the success of that song in the best way possible by singing it on Sesame Street. That must have been amazing. F: Yeah, it’s strangely like going home, even though you’ve never been there, because all of us grew up on that street in some way. I think that the highlight for sure was the puppeteers and watching what they do and realizing the craftsmanship, the agility, and the sense of humor needed to be a puppeteer. AVC: It must be hard not to look down at what’s going on. F: I know. It’s insane. They’re all intertwined and tangled, scooching around underneath you, and there’s like eight people and their hands are all laced together. It’s crazy, and they have to do everything backward. They’re watching TV monitors to see if they’re in the shot properly or not, and then what they’re seeing is reversed. They’re incredible. AVC: You told Pitchfork that you needed to make sure there wasn’t a song on Metals that this could happen with, something that could blow up like “1234.” Can you elaborate on how you did that? F: Well, it sounds a little smug and presumptuous to say, “I, on purpose, didn’t write a worldwide banger.” It’s totally smug, as if I could have if I wanted to. That’s just so stupid to say. You know, with “1234,” it’s funny because at the time when I first heard it—because I didn’t write it; I arranged it based on a song by Sally Seltmann from Australia who has a band called New Buffalo. She was on tour with me and played me this very quiet, sweet, tiny, little acoustic ballad like [sings] “1…2…3…4.” It was super-slow and sweet. So my contribution was turning it into this sort of street party. But when I first heard [the song] I remembered feeling like its simplicity was almost conceptual. It was just so, so out of hand how simple it was. And of course, pop music is all about memorability and simplicity and positive messages and a little dash of joy. If you think about [sings] “Celebrate” [Madonna’s “Holiday” —ed.]. Any kind of anthemic song, for the most part, they’re on the positive side of things. It’s not hard to identify when a melody is just one degree too complicated or one degree too simple and where that line of pop memorability lies. So I, for the most part, was engaged in thinking about things in a completely different way. So it wasn’t hard to avoid that. I just wasn’t interested in plugging a quarter into that same meter. AVC: Did you ever accidentally get close to what you thought was a perfect pop song and then stopped? F: I think I would write it if I felt that way and I would just see if I could get someone else to sing it. I do think that [with] Metals, it’s not like there’s a lack of melodies in there that I’m excited about. I really did think about it too much, in retrospective. AVC: You also mentioned that “Sea Lion Woman” on The Reminder grandfathered in some of the concepts on Metals. In what way? F: I think I mean production-wise. The group-effort sound in recording of “Sea Lion” is like, you really hear all the people in the room and hear them interlocking. There’s a real freight-train energy of all these people at the same time playing. The idea behind The Reminder was to record live, but we ended up with some of the record live. “The Water” is completely live, “So Sorry” is completely live, “Sea Lion” was live, I’m trying to think, maybe “Brandy Alexander” was live. For the most part, other songs like “My Moon” were kind of constructed in pieces. Actually, a lot of it’s live but with varying amounts of people in the room. It would just be me and Gonzo alone or it would me, Gonzo, and Mocky alone, or it would be everyone together for “Sea Lion.” The idea of having one ensemble do everything is what was on “Sea Lion” and that’s what I tried to make happen for Metals, which is having five people in the room and all of us contributing equally to every arrangement and every song. AVC: You recently released a documentary for the making of The Reminder. Any plans to do the same thing for Metals? AVC: When you agreed to do the cover split with Mastodon for Record Store Day, were you limited to choosing a song from The Hunter? F: No, there were no rules, no criteria. I kind of wanted to do something from one of their older records because I thought they would get a kick out of that more than something from the new record. But in the end, I went onto lyrics.com or whatever and read all of the lyrics from all of their catalog and I was just looking for any song that had some conceptual, visual imagery, the kind of world that I like to live in on my own songs and I found “Black Tongue.” I definitely knew I could get behind those lyrics. I loved them and it just so happened it was from the new record. AVC: What other songs did you consider? AVC: On the topic of covers, what did you think of James Blake’s cover of “The Limit To Your Love”? F: I really loved it. I think that’s the point of doing covers, is to completely reinvent them and make them your own. He really did that. I have an appreciation for his world. He’s made his own world and I really admire that. AVC: You’re often collaborating with artists like Beck, Jamie Lidell, and Mastodon on songs. Would you ever consider doing a whole album like that, like Watch The Throne? F: [Laughs.] Yeah, maybe I’ll do an album with Jay-Z and Kanye West. AVC: That would be cool. F: But I don’t think so. Beck’s Record Club thing, which is how I met him, that is the closest I’d ever come. That was amazing: making a whole album in a day. That concept that he came up with is amazing. That’s probably the closest I’d ever get. AVC: You just reissued your debut, Monarch: Lay Your Jeweled Head Down. Some people have suggested that you wanted to forget that album existed. Does this mean you changed your mind or that they were wrong? F: Well, let me just say that the person in that interview, I never really worked with [him]. I self-released Monarch and then he had a distribution in some stores. It was the most vague and most non-close working relationship. No trust ever was between us in the sense that I handed him my record to release. I was super-DIY at the time and was like, “Oh, you want to put some in some stores? Cool. You want to pay to manufacture a few? Great. Go for it.” I literally had not heard that person’s name or spoken to him in something like 12 years. So, my mom sent that and was like, “This guy’s right. Why don’t you put it out?” And I said, “What are you talking about?” and was surprised to find that he was saying that I… he made it up basically. I have no qualms with Monarch. I’ve been looking forward all these years and making new records. At this point, it’s such an old album. It’s so irrelevant in a way, but all my merch goes to charity so we thought it would be to stimulate what was coming in on the charitable side of things. I just thought, vinyl is something I’m really into these days given that I finally got a record player, and having it available only at shows ensures that it’s only the people who are really, for whatever reason, curious to go back in time like that. AVC: Maybe it’s just a case where people want to collect them all. F: That’s nice. That’s really nice. That’s basically why I put it out. It’s been long enough now that it’s like an archaeological archive piece. AVC: The video [NSFW] for “Bittersweet Melodies” is fantastic. How did you end up working with the photographer Irena Werning? F: I was in Big Sur [California] when we were recording and a good friend of mine, a filmmaker named Trevor Tuttle, he sent me a link of Irena’s work. Up there on the mountainside, Internet was slower than dial-up, so basically you press any link and it would take about 25 minutes to load. So I pressed the link from the e-mail he sent that was right when we were listened back to what we had just recorded which was “Bittersweet.” So we were sitting in the control room and it was loading really slowly and while the song, the photos were just, one by one, really slowly coming up. I had time to consider each one and every time a new one managed to load, it would just be like “Whoa,” and by the end the whole band and I were sitting around waiting for these ones to load because each one is so crazy charming. Meanwhile, “Bittersweet” kept playing the whole time over and over while we were checking levels and seeing if everything was done properly. Then I realized I was looking at these photos and it was basically what the song is. I think I instantly realized at that moment that I was watching the video for that song. Then it took a long time to reach out to her, figure it out, figure out how we’d do it, how do you make still photographs into a video. But I’m really grateful that Irena was into it. She was really open to it. So there you go. F: Thanks a lot. I love it, too.